Basements don't need to be the darkest, dampest, scariest part of the house. And they don't need to be simply an underground storage room. On the contrary, they can be warm, inviting areas that can add living space — and value — to a home. 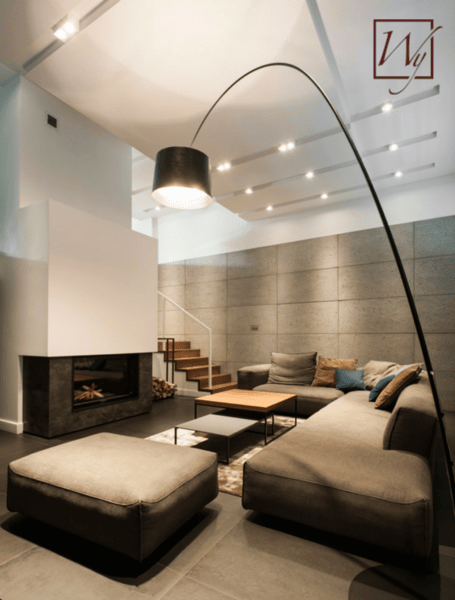 Plus, with the growing trendiness of decorative concrete floors, basements can be stylish too. According to a recent azcentral.com article, concrete floors are one of the most durable, low-maintenance and economical flooring choices for a home. The trend of using decorative techniques, such as polished, stamped or stained concrete, also makes concrete a more attractive flooring choice. For these reasons, concrete floors seem to be growing in popularity, industry experts say. Although your existing concrete slab can be stained and sealed at any time (as long as it isn't badly damaged) and retrofitted into a trendy flooring substrate, you can do even more with the slab when you're building a new house. New construction allows you to add electric radiant heating right into the concrete to turn typically cold rooms — like basements, garages and sunrooms — into warm, hospitable spaces. In this instance, a homeowner had WarmlyYours slab heating cables installed within concrete in their basement (see floor plan). By spacing the cables 3 inches apart, this system can be used for primary heat in the basement. Plus, with an in-floor heating system, you can ensure that the basement will always be warm because the heat won't rise to the ceiling or the next floor, as happens with forced-air systems. Slab heating is an affordable option for homeowners looking to lower their energy bills. It costs approximately $1.47 a day to heat a 211-square-foot basement for eight hours, according to WarmlyYours' Energy Use Calculator, which takes into account the size of the room and the average kWh cost. The slab heating cables themselves cost $1,790 total. Two 240-volt cables are needed to heat this basement: one 323-foot-long cable, which costs $745, and one 523-foot-long cable, which costs $1,045. Add a SmartStat™ thermostat to the order and it comes out to just under $2,000 at $1,959. 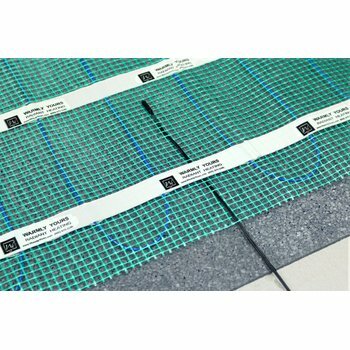 This is the most affordable option for slab heating; however, for homeowners or trade pros seeking a more convenient installation option, WarmlyYours also offers slab heating mats. 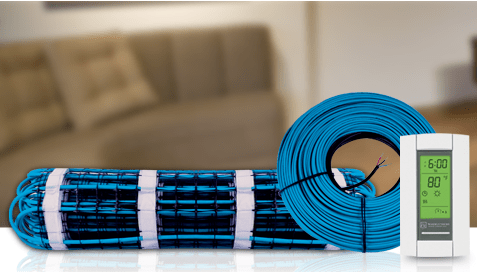 These mats consist of blue cable spaced 3 inches apart within black netting, which can be cut to enable turns and flexibility. Both the slab heating mats and cables have a watt density of 20 watts per square foot (when spaced 3 inches apart), which means that your trendy concrete floors will remain toasty warm all year round. 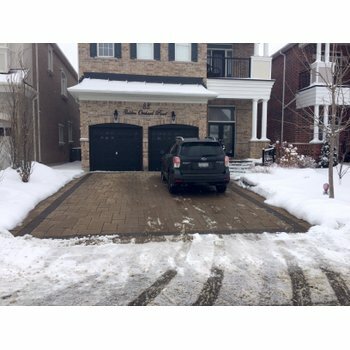 To get a quote for your basement — or any other room in your home — check out WarmlyYours' Instant Quote tool. 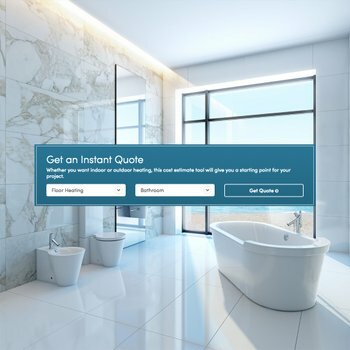 Just submit some information about your project, and you'll instantly get a quote, detailing which products you need and how much it will cost. To receive a detailed installation plan, send us a floor plan. The WarmlyYours team will get back to you the next business day with a free quote and custom installation plan so that you can see exactly how your radiant floor heating system should be installed. Plus, if you're installing the system yourself, we have technical support experts available to you 24/7 to answer any questions. Just give them a call at 800-875-5285.